When you’re staying as guests in a catered chalet in La Rosiere, you’re going to have most of your evening meals provided for you. So even if you’re staying catered you’ll still need to find a good place for your evening meal for at least one night of the week and that’s where this guide comes in. 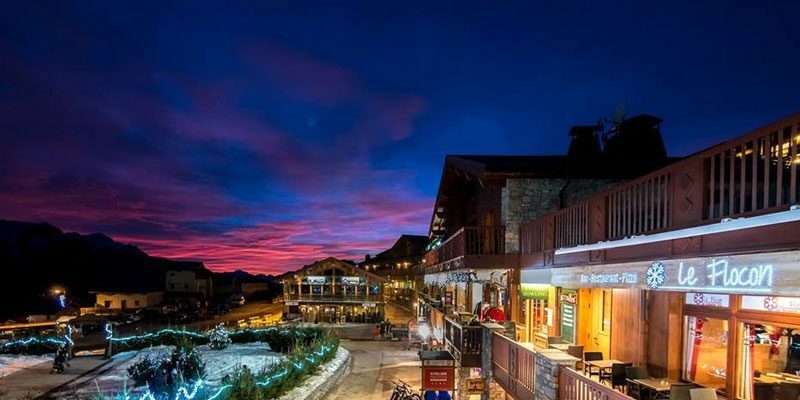 Although La Rosiere and it’s sister village Les Eucherts are not the largest of resort centres, you’ll find they have plenty to offer by way of dining options. 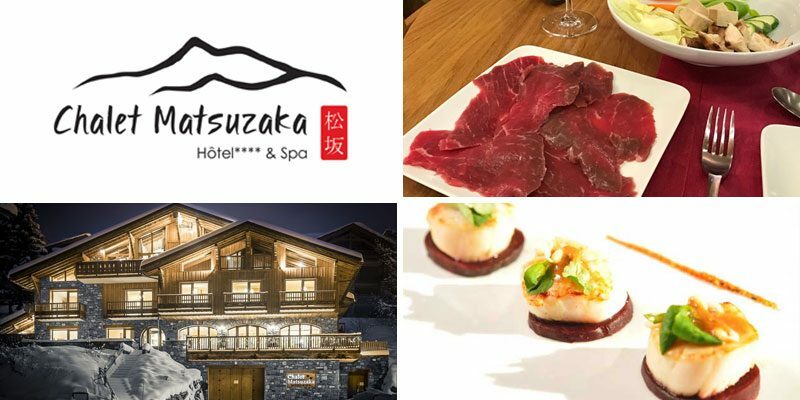 We’re not listing all the places to eat in La Rosiere and Les Eucherts, just the few we’d consider the best places to go for your special dinner out in the resort. If you like the look of the above image, that’s the work of a Mountain Heaven host, use the slider below to see some restaurant options. We’ll start off with a quick tip, make sure you book your table well in advance. Wednesday night in particular gets booked up quickly so make your choice and book early. 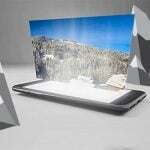 Mountain Heaven guests need only let their host know in good time, they will make the reservation for you. 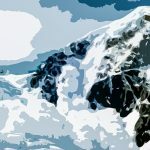 A restaurant with an impressive set of Tripadvisor reviews and a reputation that extends outside of the resort it calls home, Le Genepi can claim the title of ‘best food in La Rosiere’. It has a traditional and unassuming interior, they’re not trying to make a statement with the decor it’s just a nice place to be. 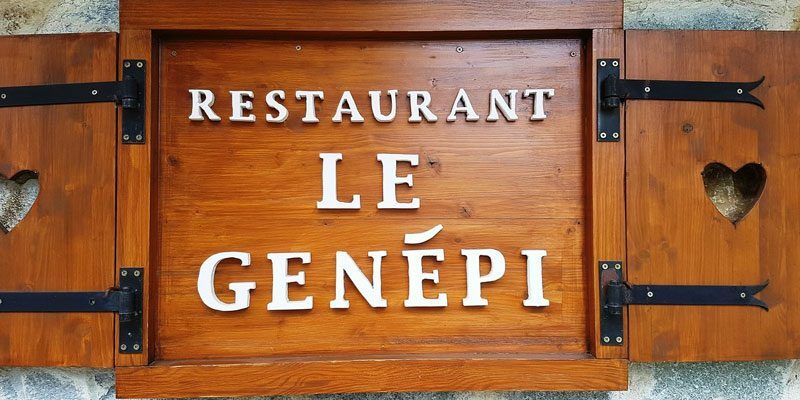 Le Genepi is a family run business, they’re passionate about what they do and appreciate their customers. Service is nearly always smooth and friendly, they do things properly and you tend to know exactly who ‘your waiter’ is. There’s a terrace with incredible views which opens when the weather permits. Where Le Genepi will really impress is in the main event, the food. 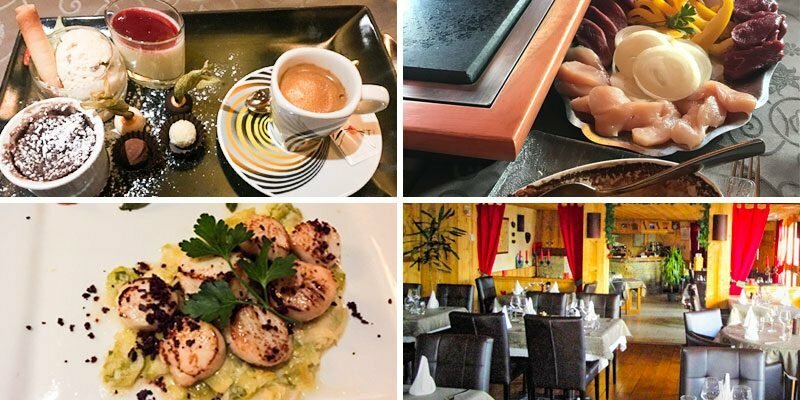 Their menu offers traditional Savoyard cuisine with a touch of gourmet flair. Presentation is enticing and portions satisfying, very few people regret their visit to Le Genepi, most only regret they couldn’t have tried the rest of the menu. As you might expect, dining at the best restaurant in town isn’t cheap, a full meal for two adults with a decent bottle of wine could easily exceed €150. You’ll find Le Genepi at the centre of La Rosiere or just at the bottom of the stairs if you take the lit walkway from Les Eucherts. Just a short walk from our chalets in Les Eucherts is the lovely L’Ancolie. As with most of the best resort restaurants, it’s family owned and delivers authentic French cuisine in a traditional setting. The interior is set over several floors each adorned with all kinds of alpine agricultural tools and interesting characters hiding amongst the rafters. The construction affords many nooks and niches for groups of all sizes to dine in a cosy setting, this is a restaurant that feels homely. 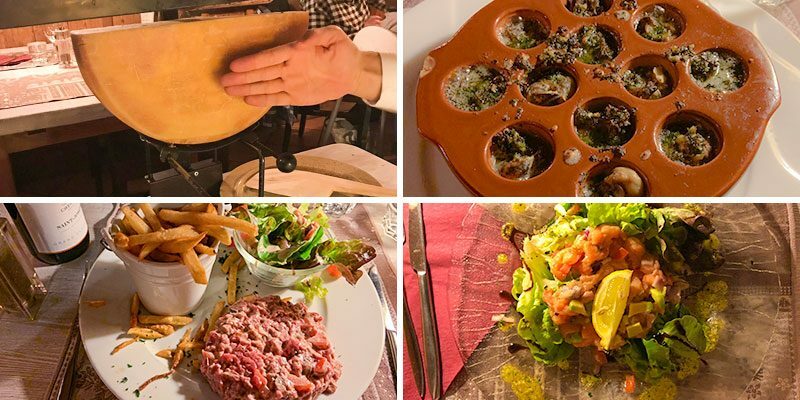 Their menu is full of traditional Savoyard dishes. You can have traditional fondue, raceltte and tartiflette. Be aware the raclette is increibily substaintial, we saw a hungry family of eight make it only just past half way. We have it on good authority that they serve a fantastic Carbonara and can be coaxed into making it even when it’s not on the menu. Their salmon tartare is delicious and you’ll find they do steak tartare and a range of steaks for meat lovers. Prices are reasonably high but appropriate to the what’s on offer. You can find L’Ancolie at the far end of Les Eucherts just past the lifts, for Mountain Heaven guests, it’s a short walk indeed. What if I just want some simple food? If you’re not looking for a gourmet night out but want to grab some pizza or a burger, La Rosiere and Les Eucherts have you covered. 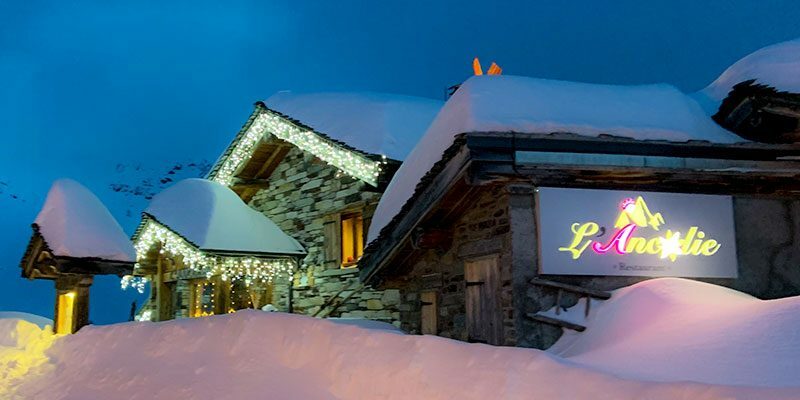 There’s a lot of choice and plenty we’ve not tried yet but to drop some names, you could try out Restaurant Le Flocon in Les Eucherts or La Taverne du Mc Kinley in La Rosiere for some decent food at reasonable prices. Again on a Wednesday night, it’s a good idea to book ahead or turn up a bit early, it can get really busy on the host’s night off. We hope our advice has been useful, of course you don’t need to follow it. We stand by our recommendations but would be glad to add to the list if we find other restaurants worth a visit.